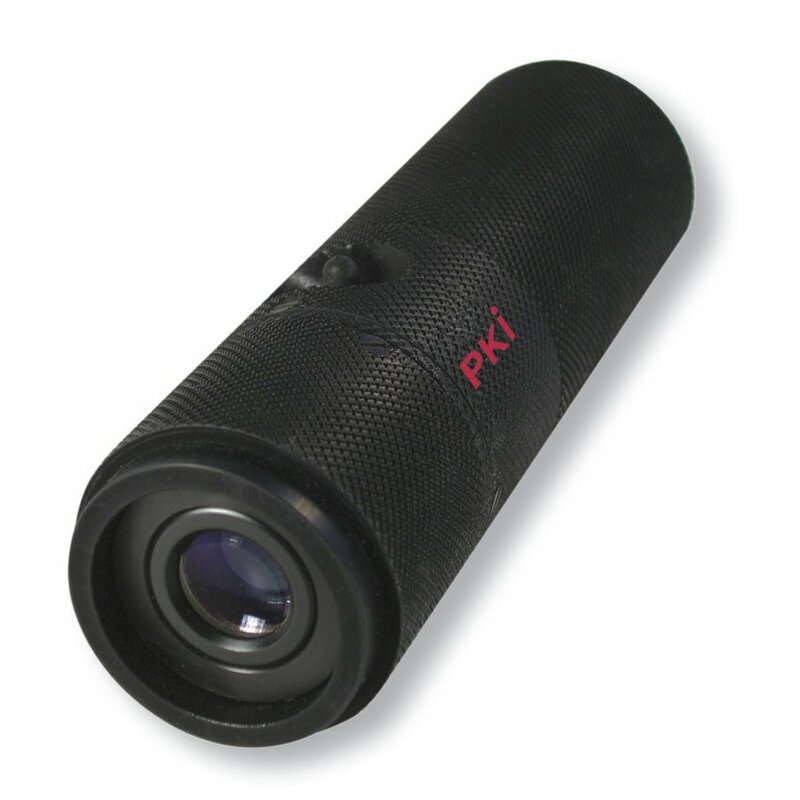 The PKI 5410 emits a powerful and directional beam of IR-light being invisible to the human eye. IR-light sources can only be used in combination with night vision devices (see our products in this catalogue) and therefore this unit, with its integrated brightness control, is the ideal solution for observation tasks under bad light conditions, in the total darkness with fully clouded sky or at problematic locations. This torch lamp has been developed according to the latest technical standard. It is lightweight and easy to handle. A 5 mW IR-Laser-Diode inside the PKI 5410 provides the necessary power for ranges of up to 100 m. With the adjustable optic the beam can easily be focussed. The unit is powered by a rechargeable NC-battery and a lid protects it from switching on by mistake. PKI 5410 is supplied as a complete unit with mains charger and transportation case.